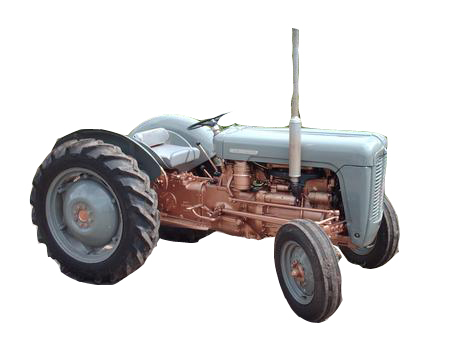 Vintage Tractor Engineer has a customer with a hydraulic fault on his FE35 golden grey. The tractor will lift light implements such as a ridger or spring tine and will lift heavy implements when cold, but when the hydraulics get warm it takes high engine revs to lift the heavier implements such as a rotavator. The customer suspects the filter on the hydraulic pump. If the tractor is lifting OK when it is cold, but not when it is warm then I do not think it will be the filter. It is when the oil is cold that a clogged filter is most likely to cause problems, and as the oil warms up the oil would pass more easily through a clogged filter (so the opposite symptoms to your tractor). If the hydraulics are performing OK when cold, but not lifting very well when the oil warms up, then this suggests a leak somewhere in the system (which becomes more apparent as the oil becomes less viscous). So it is a case of finding out where the leak is occuring. 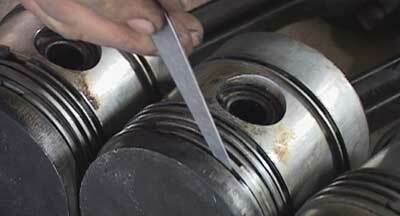 As shown in the troubleshooting section of the Hydraulics DVD, there are several components which could be the cause. The easiest (and cheapest) place to start is with the o’rings on the stand pipe, which can be accessed by removing the oil transfer cap under the right hand side of the seat. Remove the pipe, check the o’rings (replace if necessary) and then refit the stand pipe – see if that solves the problem. Also consider removing the right hand side plate from the transmission housing and looking through whilst the tractor is running (don’t put your hands inside whilst doing this). You may see an obvious leak somewhere, although this is unlikely given the symptoms you have described (i.e. the hydraulics will lift with high revs even when warm). So that leaves either the pump (including control valve and relief valve) or the lift cylinder. Most likely is the pump. If you follow the rebuild of the pump as in the Hydraulics DVD, then this is most likely to solve the problem. I would always use a genuine control valve and relief valve on the pump, as the non-genuine brands do not seem to be made with sufficient precision. It seems you must have damaged the pump inside,as happened to my Hydraulics you will need to get the DVD AS IT WILL HELP YOU FROM DOING MORE DAMAGE,it will bring you along with test you can make to localize the fault and you can do a re-build if need be the advantage of the DVD you can play it as many times as you need or stop and view while you are carrying out some very sensitive adjustments, as even well trained engineers need practice to keep in top of this type of work. Hello Guys. I have a MF35 as well and had to pull a car with a loaded trailer up my driveway. I did the wrong thing and towed it by the drawbar which I had slightly raised. Since this time the Hydraulics will only raise and lower using the draught control like mentioned in Roberts post. 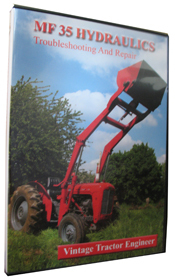 I am looking at ordering the DVD as I have the workshop manual but thinking to see it pulled out and apart would make it easier to understand. My question is could you point me in the direction of what you might think could be the culprit here if possible. Also the hydraulics will lower when the clutch is depressed. Before all this the hydraulics were in excellent shape and had no problems with them. That information has sorted me out, the auxiliary tank is piped from the top of the fuel filter , the leak off from the injectors has nothing to do with the cold start mechanism, the confusion occurred when i took off the pipe at the bottom of tank no diesel came out, there must be a non-return valve in the tank and normally there would be very little diesel returning to the tank. The Hydraulics DVD was indeed very USE-FULL, the large spring on the top link section was broken and was replaced plus pump re-build kit. The bracket for hydraulic top cover removal i made up from your drawing, it did the job very well in freeing up space and keeps cover steady. The fuel leak off pipe from the injectors should go straight into the bottom of the fuel tank. The fuel leak off (de-aireator pipe) from the top of the fuel filter goes up between the battery and fuel tank and returns to the main fuel tank if you have the Ki-Gas cold starting equipment (or returns to the heater plug header tank if you have CAV cold starting thermostart). 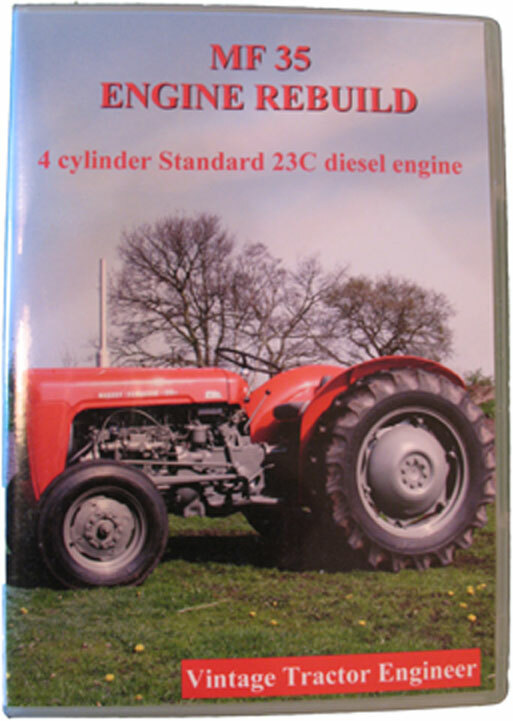 Pleased you found the Hydraulics DVD useful and that it helped you with your hydraulics rebuild. re my comment september 15 last, i have since received the dvd which gave me the instructions to carry out complete hydraulics overhaul, found it marvelous now i am waiting for weather to clear to start ploughing. I have another query about the leak off pipe from the injectors to tank in (23c) does it return the diesel to the auxiliary tank for the cold start heater?. I was ploughing with my FE 35 and my hydraulics developed problems with the draft control when i came to the end of the furrow i discovered that the hydraulic would not lift the plough, after a few different actions with the levers i discovered that the lift would raise by lowering the draft control lever and to stop the plough being lifted you had to raise the draft control. The normal lever has now no effect wont raise or lower lift. Had problem with this tractor busting the hydraulic housing and cracking backend housing which were recently replaced any ideas what my problem might be. Good to know the hydraulics are working OK now. The question about the spindles is a whole topic on its own, so we’ve put all the info on a dedicated refurbishing spindles page. Hydraulics now ok.I had hydraulic oil in which as you know is very thin,I’ve changed it for 50 weight oil which I should have put in in the first place also my fe 35 does not have a filter on the hydraulic pump.How easy is it to replace the bushes and thrust bearing on the spindles?Thanks again,Richard.